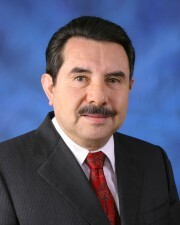 Dr. Antonio R. Flores, President & CEO of HACU, will be one of the main speakers at the HETS Second Best Practices Showcase. HETS is delighted to inform that, Dr. Antonio R. Flores, President & CEO of the Hispanic Association of Colleges and Universities (HACU), will be one of the main speakers at the Second Best Practices Showcase. We will be celebrating this event, “Celebrating Innovation in Access, Retention, Assessment, and STEM Education to Promote Hispanic Student Success in Higher Education”, on February 16 and 17, 2012 in San Juan, Puerto Rico. HETS Best Practices Showcase is intended to praise the work of Hispanic Serving Institutions (HSIs), in adopting and implementing innovative technology strategies to enhance access, retention, STEM, and successful assessment learning outcomes among the Hispanic student population. We would like to extend this invitation to faculty members, instructional designers, student support staff, distance learning personnel, and other academic and support leaders to showcase and share their most ground-breaking practices. Attendees will be not only able to learn from the showcased works, but also find solutions to many common issues and even establish new possibilities for collaboration with other institutions and potential partners. In appreciation of the support we receive from the HSIs, a special Thanksgiving offer of 10% discount will be honored to all those who register before November 28, 2011. Register today and don’t miss this limited time offer!